Stephanie Perry is a fellow of the American College of Trust and Estate Counsel (ACTEC), and she is admitted to the Bar in Maryland, the District of Columbia, Virginia and Georgia. Stephanie concentrates her practice on estate planning, estate and trust administration and premarital and domestic partnership agreements. Stephanie also works closely with the Firm’s domestic relations attorneys on premarital and domestic partnership agreements. Stephanie’s primary objective in working with clients in these matters is to make sure a client is properly educated, understands his or her rights and concludes the process with an agreement that is acceptable to both parties. Originally from Jacksonville, Florida, Stephanie received her B.S. in Political Science and English from Florida State University and her J.D. from Emory University School of Law in Atlanta, Georgia. After practicing in Atlanta for several years, she joined Pasternak & Fidis, P.C. Stephanie has been recognized by Maryland and D.C. Super Lawyers as a “Rising Star” in the areas of estate planning and probate every year since 2015. 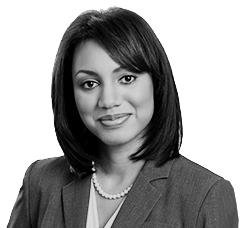 Stephanie is past Co-Chair of the Steering Committee of the Estates, Trusts and Probate Law Community of the District of Columbia Bar. Stephanie is also a member of the Estate Planning Council of Montgomery County. An unwavering believer in the power of education, Stephanie serves as Vice-Chair of the Board of Trustees of the Washington School for Girls, an all-girls, tuition-free private school located in the District of Columbia that provides education and support to economically disadvantaged 3rd through 8th grade students and their families in order to prepare them for success in high school and beyond.